Sling Ship is a procedurally generated sci-fi game that’s simple and serene at its core, yet also a challenging game of skill. You'll pilot a ship that is maneuvered and held aloft by a series of opposing forces. Swipe left and the ship goes right. Swipe down and the ship goes up. 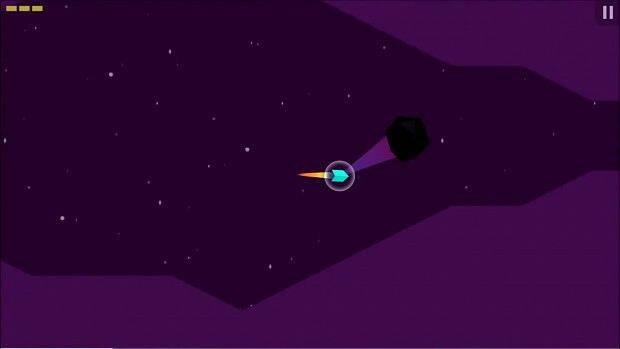 Sling Ship features highly polished and responsive controls. You really have to try it to understand it. Gravity appears to have gone rogue in this world. A world which seems to abide only by its own rules. How far will you go? The farther you go, the more you’ll find. Early on, you’ll discover strange black rocks which possess odd powers of attraction and the ability to manipulate time. Explorers that have gone before you have reported alien mechanical objects that have a strange relationship with physics. Who knows what might lurk beyond… You’ll need to polish your ship handling tactics and experiment with different swipe gestures to really become one with your Sling Ship. How far will you go?